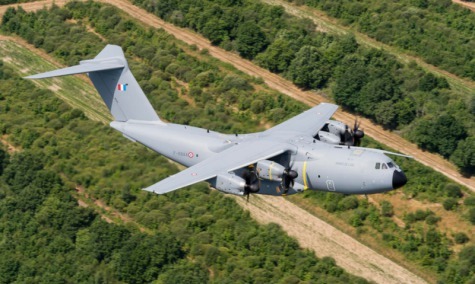 PARIS --- Talks between Airbus and the partner nations of the A400M program seem to have moved into a new, more adversarial phase since an inconclusive March 30 meeting in Madrid during which neither side budged from its position. At that meeting, Airbus was invited make its case after its CEO, Tom Enders, asked customer nations to waive the “penalties, liquidated penalties and cash retentions” they have levied for the late delivery of non-conforming aircraft. Airbus wrote off an additional €2.21 billion for the program in 2016, and Enders was not willing to continue. But none of the customer nations accepted, and Airbus was told to deliver on its contractual obligations before any financial relief could be considered. Also, the decision was made to re-open negotiations on the entire contract, instead of simply ruling on the penalties, and this will considerably lengthen the process. Now, Airbus seems to have decided to notch up the pressure, and according to a confidential report by the German defense ministry it has told customer nations that it will not make the investments needed to fix the shortfalls in the aircraft’s performance, Reuters reported May 8. Airbus also warned that it might even ask for 12 to 18 additional months to resolve those same issues. This would create unacceptable capability gaps in France and Germany, whose fleets of C-160 Transall transports are due to retire from 2021. France has been forced to buy four Lockheed C-130J Super Hercules to provide capabilities which the A400M cannot currently provide, and Germany will follow shortly, so additional delays are unacceptable. The situation is still at a stand-off, with governments refusing to waive penalties before the aircraft are fixed, and Airbus implying it could delay deliveries unless penalties are waived. And their positions are hardly reconcilable. “We cannot force customers [to renegotiate], but they also cannot force us to indefinitely carry such significant financial risk and burden,” Enders told the Financial Times in a March 2 interview. Enders has time on his side, because France will hold general elections in June and Germany in September, which virtually guarantees that the two most vocal critics of the A400M will soon leave office. Ostensibly, however, everything is proceeding smoothly. Airbus Defence and Space CEO Dirk Hoke said the company had been engaged in what he called "very constructive" discussions with all European buyers since the March 30 meeting which he attended in Enders’ place. Meanwhile, Airbus has been making efforts to solve the A400M’s problems. To avoid disrupting the final assembly line in Seville, it has shifted all engine retrofit work to its Getafe plant, near Madrid, where it is replacing the propeller gear box of two engines on each of the 43 A400M aircraft delivered to date. The company is also progressing in its efforts to fix the four main capability failures that are most penalizing customers, Fernando Alonso, president of the Military Aircraft division, told reporters during a recent press day in Saville. These include increasing from 30 to 50 the number of paratroopers that can jump from each side door; increasing the payload that can be air-dropped; adding 10 meters of fuel hose to the refueling basket, thereby allowing safe helicopter tanking; and finally delivering an operational self-protection suite.